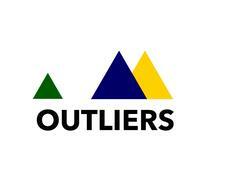 The forum https://outliers.microco.sm (the "forum") is operated by the person, company or organisation detailed in the forum administrator section of the forum ("we" or "us"). Cookies are text files, containing small amounts of information, which are downloaded to your browsing device (such as a computer or smartphone) when you visit a website. Cookies can be recognised by the website that downloaded them - or other websites that use the same cookies. This helps websites know if the browsing device has visited them before. Cookies do lots of different jobs, like helping us understand how our forum is being used, letting you navigate between pages efficiently, remembering your preferences, and generally improving your browsing experience. Cookies can also help ensure marketing you see online is more relevant to you and your interests. What types of cookies are used by Outliers on the forum? The types of cookies used on our forum can generally be put into one of the following categories: strictly necessary; analytics; and functionality. You can find out more about each of the cookie categories in the table below. These cookies are essential to make the forum work. They enable you to move around the forum and use its features. Without these cookies, services that are necessary for you to be able to use our forum such as accessing secure areas cannot be provided. These cookies collect information about how people are using our forum, for example which pages are visited the most often, how people are moving from one link to another and if they get error messages from certain pages. These cookies don't gather information that identifies you. All information these cookies collect is grouped together with information from other people's use of our forum on an anonymous basis. Overall, these cookies provide us with analytical information about how our forum is performing and how we can improve it. These cookies allow us to remember choices you make and tailor our forum to provide enhanced features and content to you. For example, these cookies can be used to remember your user name, language choice or country selection, they can also be used to remember changes you've made to text size, font and other parts of pages that you can customise. These cookies are used to deliver advertisements that are more relevant to you and your interests. They are also used to limit the number of times you see an advertisement as well as help measure the effectiveness of the advertising campaign. They remember that you have visited a website and this information may be shared with other organisations such as advertising partners. This means after you have been to our site you may see some advertisements about our services elsewhere on the Internet. Our cookies recognise the device you are using but are not aimed at you as a named individual. The length of time a cookie will stay on your browsing device depends on whether it is a "persistent" or "session" cookie. Session cookies will only stay on your device until you stop browsing. Persistent cookies stay on your browsing device after you have finished browsing until they expire or are deleted. "First party cookies" are cookies that belong to us and that we place on your device. "Third-party cookies" are cookies that another party places on your browsing device when you visit our site. Third parties setting cookies from our forum will be providing a service to us or a function of the forum. You can usually use the browser that you are viewing this forum through to enable, disable or delete cookies. To do this, follow the instructions provided by your browser (usually located within the “Help”, “Tools” or “Edit” settings). Please note that if you set your browser to disable cookies, you may not be able to access secure areas of the website and other parts of the website may also not work properly. You can find out more information about how to change your browser cookie settings at http://www.allaboutcookies.org. Information about the cookies used by us may be updated from time to time, so please check back on a regular basis for any changes. The last modification date of this document is shown at the bottom of this page. This document describes what data we store on your computer in the form of browser cookies, and how they are used by us to provide the forum service.